If microbreweries and wineries in Maryland can experience a surge of popularity and capture the public’s fancy and its dollars, why not spirit distilleries? That’s what a new group, the Maryland Distillers Guild, is counting on. The fledgling organization and its 11 members believe consumers are ready for craft whiskeys, rums, vodkas and other spirits created by Maryland artisanal distillers. They also know they have a ways to go. Windon believes the guild has history on its side. Maryland was known for its rye whiskey and rum during colonial times, she said, and before Prohibition the state produced the fifth-most alcohol in the nation. Boutique whiskeys and other spirits are surging in popularity with consumers, Windon said. Unlike wines — whose quality and character are shaped by the nature of the soil and climate – spirits can be distilled anywhere. Raw materials, such as barley, potatoes or sugar cane, can be shipped in. 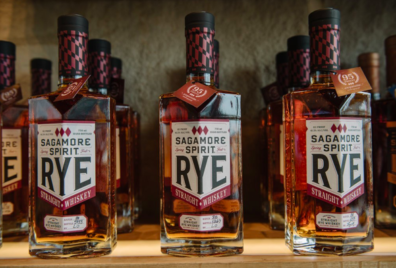 Still, she said, Maryland distillers are hoping to form partnerships with local farmers to obtain rye, corn, wheat and the other raw ingredients of their products. 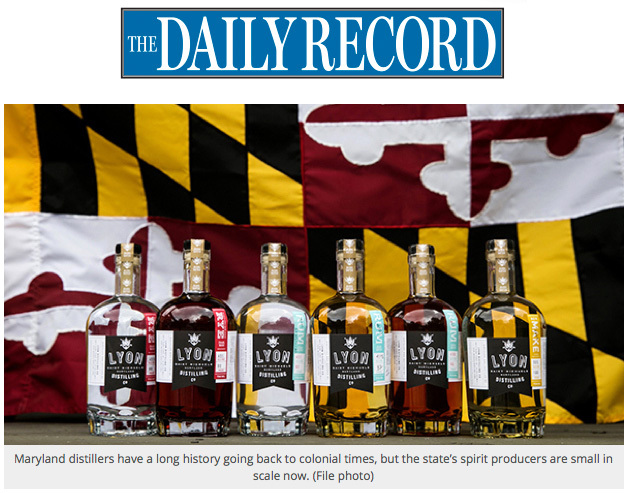 “Maryland rye is what we’re known for,” she said, though Lyon also distills a Maryland rum. The sizes of the state’s distillers are, well, tiny. Lyon, for instance, uses a 26-gallon still, and her company produces about 400-600 bottles a month. Other operations range from the same size to slightly larger, up to 100-gallon stills. Stills can be as large as 3,000 gallons. The distribution model now in place in Maryland, Windon said, basically allows a distiller to sell a limited amount directly to the customer — three bottles a person per visit. Distillers can also go to distributors to retail their products or apply for a wholesaler’s license themselves. A distiller needs state and federal permits. Beside creating their own guild, the distillers recently hired Kevin Atticks and his firm, Grow & Fortify, to drum up enthusiasm for their products, lead promotional campaigns and help the industry grow. Atticks has led the Maryland Winery Association since 2002, and Windon credits him with helping that group expand from 15 to 70 wineries, pushing for revisions to state and county alcohol laws and generally growing market awareness of state wines. “I have a tremendous amount of respect for Kevin as both a person and a passionate advocate for the issues he works on,” said state Comptroller Peter Franchot, whose office is the chief regulator of the alcohol industry. By comparison, she noted, Washington state has 70 distilleries. Windon said the interest among Marylanders in micro-distilling is growing. She gets frequent inquiries, and she noted that the Maryland industry would get a huge boost in visibility with tentative plans by Under Armour CEO Kevin Plank to build a distillery, perhaps in Baltimore. Plank’s company, Sagamore Spirit, has expressed interest in the guild, she said. “For the first time in nearly half a century, we are experiencing a revival of Maryland’s long and illustrious distilling industry,” she said.